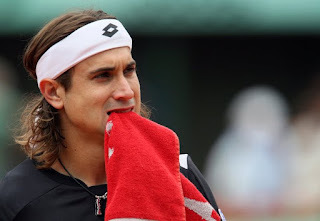 Spanish 5th seed David Ferrer bites the dust when he lost to the unseeded Gael Monfils who became the first Frenchman to reach the last four at Roland Garros for seven years with a 6-3 3-6 6-3 6-1. "I prepared well for this tournament, I'm trying to take as much as pleasure as I can but also to keep focused. With the crowd and my family backing me, I feel very strong. 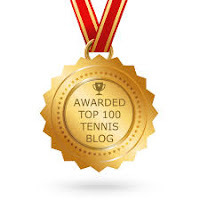 I have raised my level progressively, I played beautiful tennis." 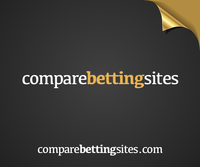 Monfils is now bidding to become the first home winner since Yannick Noah in 1983. He will meet world no. 1 Roger Federer tomorrow for a place in this Sunday's final. 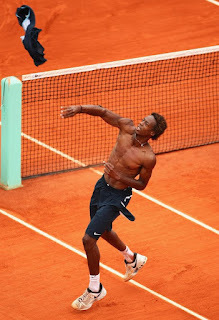 Now Monfils sure has all the reasons to celebrate and join the shirtless players Hall of Fame.